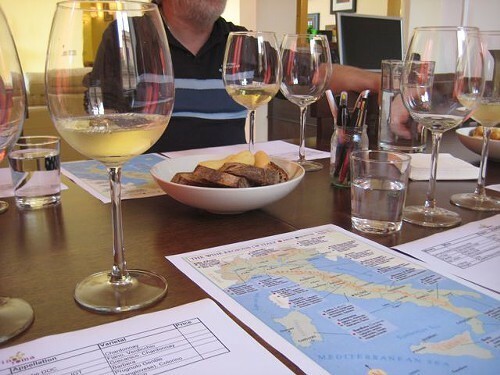 Before I left for my vacation I signed up for a "My Italians" wine tasting at Vinoroma in Rome. For 50 euros you get to try six different Italian wines from all over the country—three white, three red. Hande Leimer, founder and head of Vinoroma. 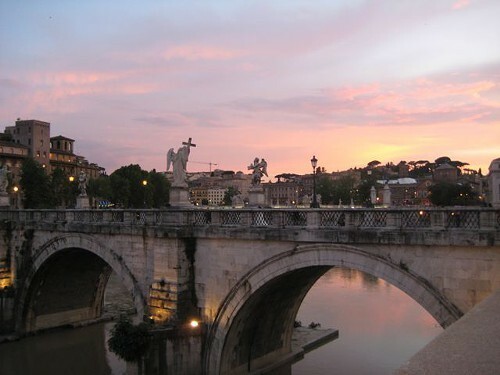 At the appointed day and time I made my way up to Vinoroma's location, a spacious apartment in a building overlooking the Tiber, where I was met by Vinoroma's head, Hande Leimer, and her American "mentee," Amelia. 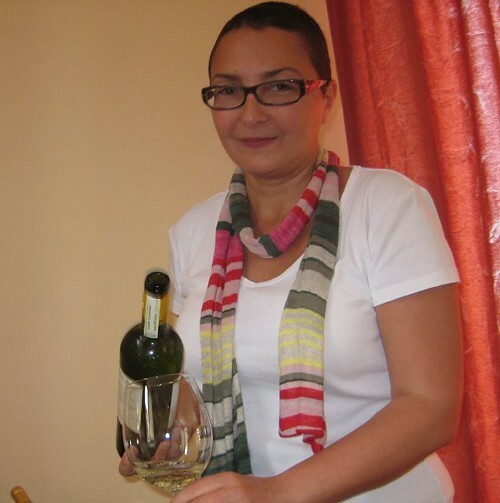 Leimer, who is originally from Turkey, has lived in the U.S. and Germany as well as Italy, where she is a certified sommelier and a member of the country's official sommelier association. She holds about seven tastings a week in English and German, working with about 50 or so wines at any one time; a few hours before the tasting she sits down and makes a final list according to her mood. At our tasting were three other guests: a father and daughter from Australia and an American-Swiss woman who lived in Rome. All of us had some experience with and knowledge of wine, and the Australian man even used to make some of his own—a good group. And Leimer proved an enthusiastic and approachable teacher: even beginners could've gotten a lot out of the session. Although she obviously takes wine very seriously, she was loose enough to compare one white wine to an "airhead cheerleader." Leimer asked us to share a little bit about our experiences with wine. I said that I had lived in Italy and had tasted a lot of wine here, that I knew what I liked and didn't like, but didn't feel like I always had the ability to say why—whenever I'd been asked to isolate a particular flavor or smell, for instance, all I could think of were grapes. But with Leimer's encouragement I found that my nose was better than I thought, and I identified scents of stone, mushroom, and chocolate as we went through the list. With Italian wines, you talk about regions rather than grapes, which is perhaps why I gravitate toward them—I can never keep all the grape varieties straight, especially after a buzz sets in. Italian wine is meant to be drunk with food, so a general rule for pairing is to consider the typical food of the region where the wine comes from. For a white Colle dei Marmi 2008 from the Lazio region (where Rome is), good choices would include starchy foods—pasta, gnocchi—and meat like porchetta, roast pork flavored with rosemary and herbs. To my surprise, my favorite red wine was not one of the famous Tuscan wines I usually favor, in this case a Vino Nobile di Montepulciano (a 2006 from Le Berne), but a Barbera d'Alba from the northern region of Piemonte. It had flavors of cherry and chocolate, with a tiny bit of oak. Low in tannins and high in acidity, it was elegant but robust. Afterward we sat a while past the appointed time, chatting about wine until Leimer finally kicked us out—nicely, of course. Fortified with so many delicious vini, I enjoyed a lovely, tipsy sunset walk along the Tiber back to my digs in Trastevere. Even completely sober, this view would be pretty mind-blowing.